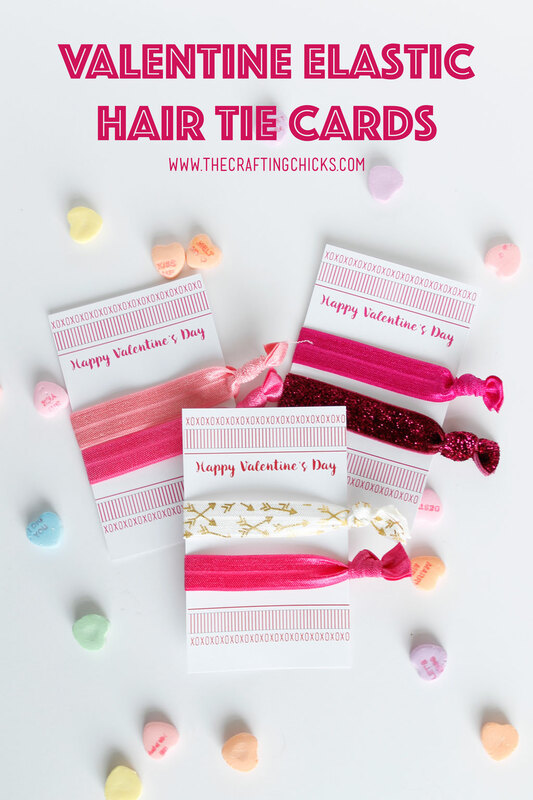 Valentine Elastic Hair Tie Cards are a homemade gift friends will for sure use. Just use this printable and make the hair ties and you’re all set. As a mother of girls, I know how important the perfect hair accessory is. I have one daughter who’s day can be made if she can find the perfect thing for her hair. But that means that life stops completely if she can’t find exactly what she needs to complete the outfit. (A deserve a trophy for making it through these mornings. )I am getting off topic, but I’m sure some of you can sympathize with what I go through. 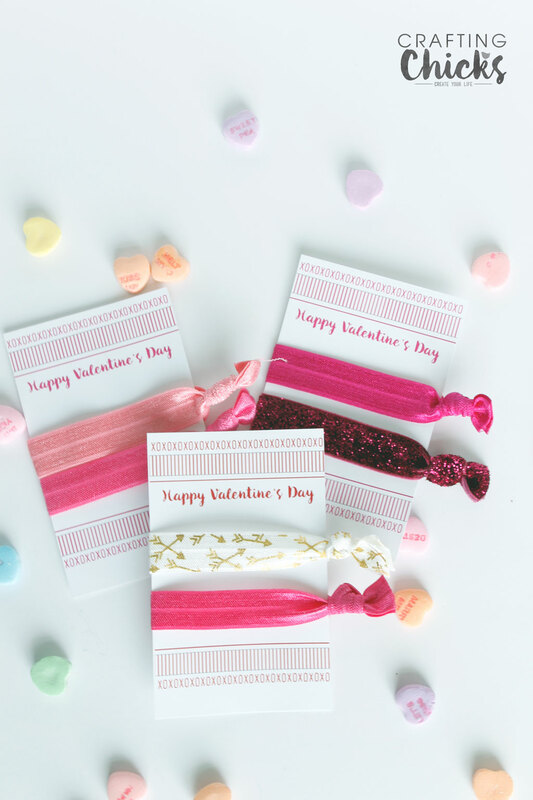 Since having hair accessories is so important, I thought it would be fun for my girls and I to make these cute Valentine Elastic Hair Ties. 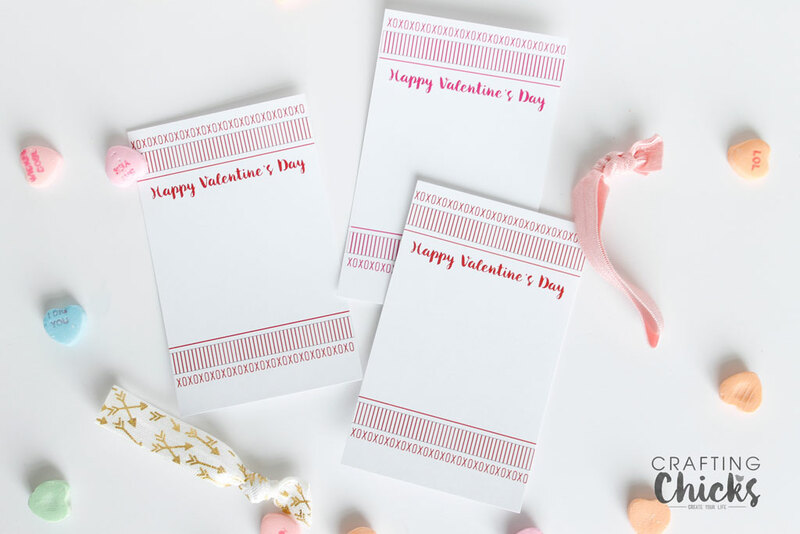 And of course we had to make a cute Valentine’s Day Card to tie them onto. Color Printer, or send to your favorite copy shop. I made up two different color cards for you to use. 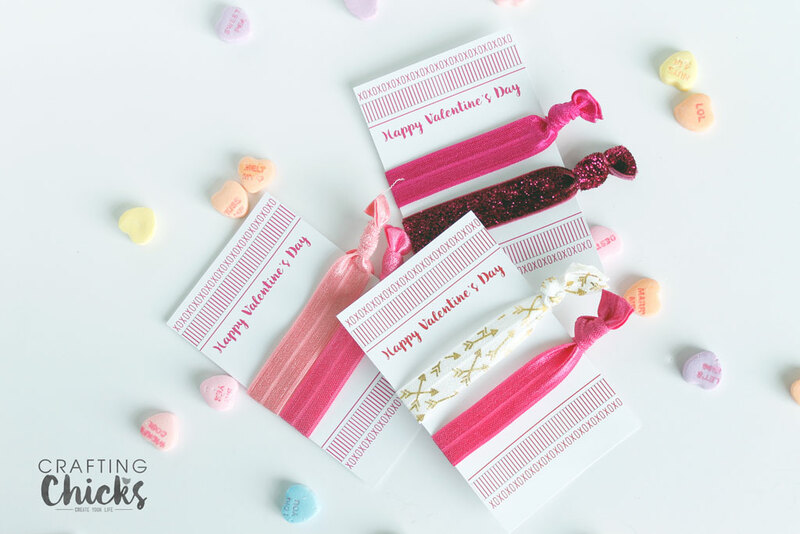 Bright Pink and a classic Red Valentine Elastic Hair Tie Cards are sure to work with any color fold over elastic you use. 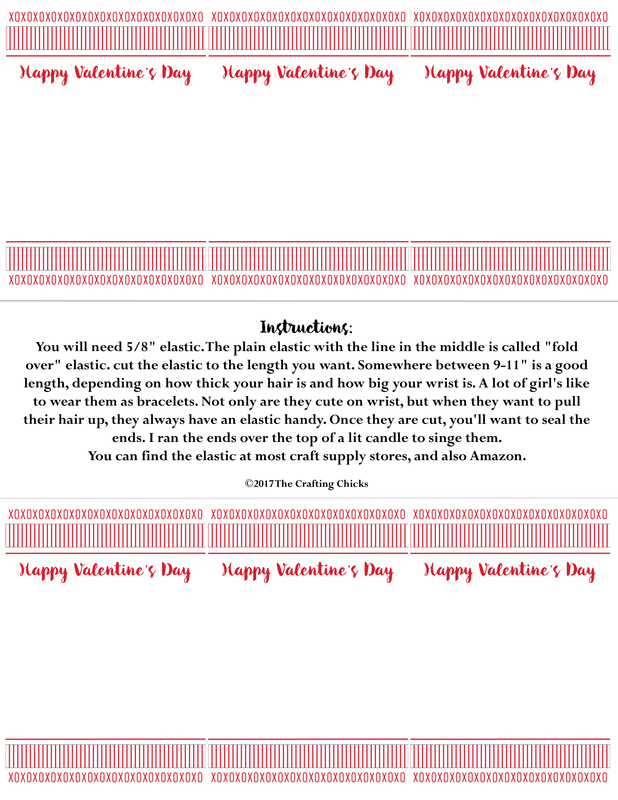 Each printable card contains 6 cards with instructions on how to make the hair ties using the fold over elastic. 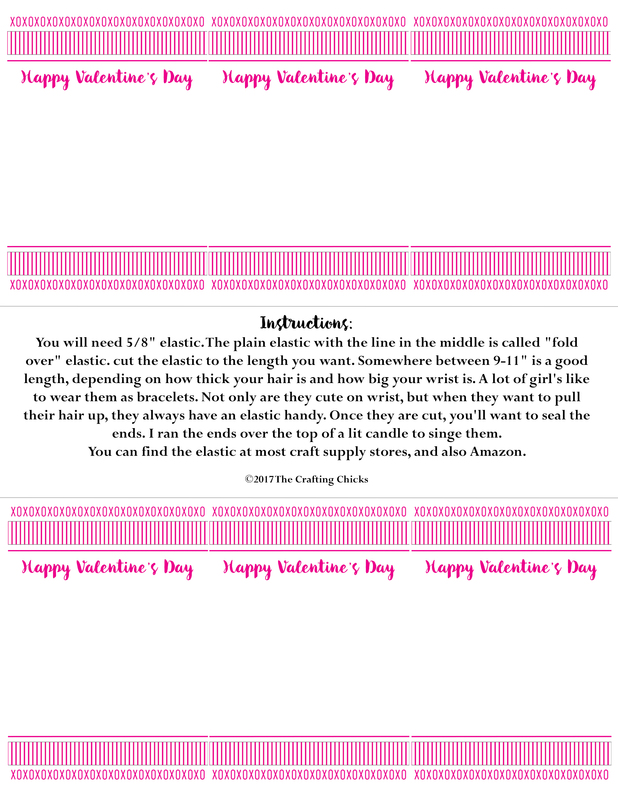 If you need more information on making the hair ties you can check out Nikkala’s post on How to Make Elastic Hair Ties. Hope you enjoy as much as we do. *All downloads are property of The Crafting Chicks, LLP. Please don’t alter or claim as your own. Not for resale. If you have any questions, please contact us. We’d love a comment if you download.